From now on you can roll through Dresden! 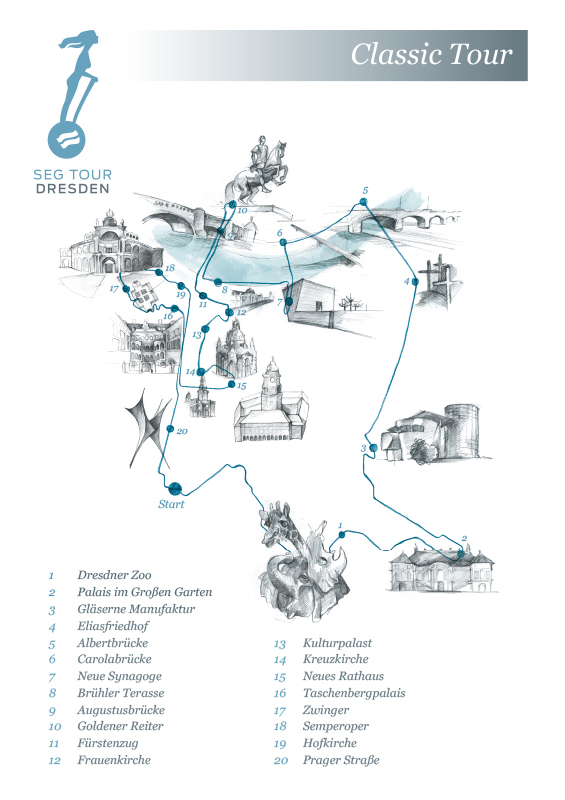 The Classic Tour is ideal for beginners and everybody, who doesn’t know Dresden yet. The Classic Tour covers all the main sights of the city on the Elbe River. Starting at “Die Gläserne Manufaktur” of Volkswagen, the tour leads along Brühl’s Terrace and the “Goldener Reiter” to the new landmark of the city, the Frauenkirche. 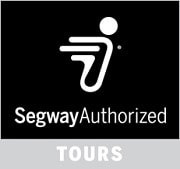 We also make our way through the baroque style park Great Garden with its broad ways, where you can get to know the Segway extensively. The Elbe Tour offers something new even for Dresden adepts. We leave the historic city behind and drive along the sustained Elbe cycle route to the Blue Wonder. 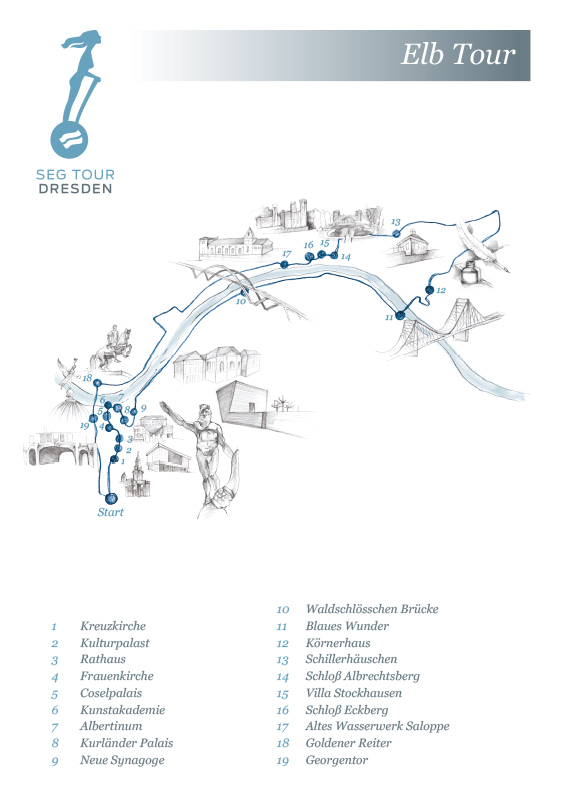 Here you can experience the former UNESCO World Heritage cultural landscape Dresden Elbe Valley and get an impression of the controversial Waldschlösschen Bridge. On the opposite riverside, the way leads along the three stately Elbe Palaces to the historic water utility Saloppe.